Before you can setup PayPal on your oyerr account, you need to have a PayPal account with a an email often called the PayPal account email. 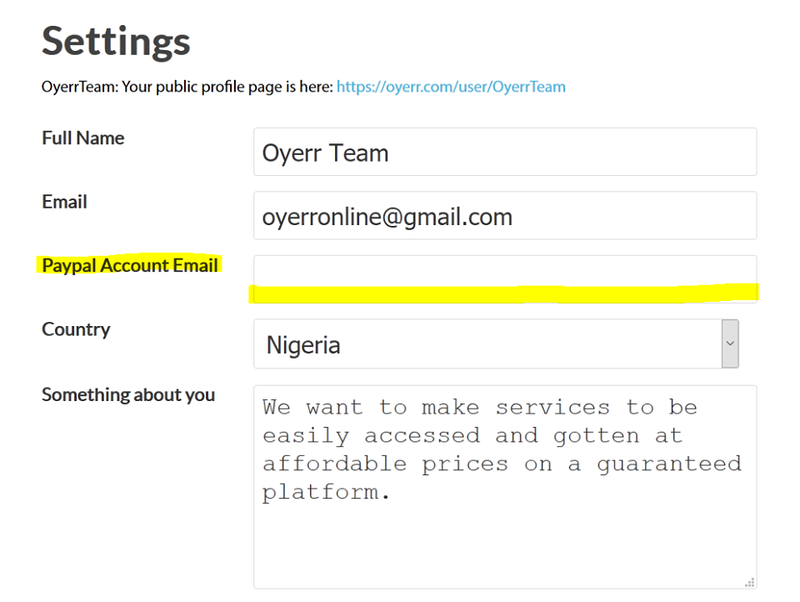 It is with this account that yo can setup PayPal on your oyerr account. 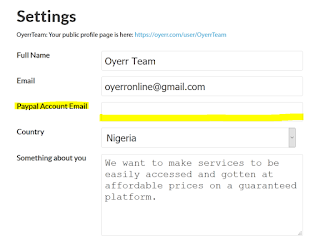 This is how you set up PayPal on your OYERR account. 2. From the setting or profile links section located on the top right corner when using a computer and on the left side navigation when using a phone. 3. Fill in your real PayPal account email, crosscheck and make sure your spelling and email is correct. 4. Scroll down and click on the save button.